The definition of Math-rock (and you may agree or disagree with the Wiki description, is certainly one that brings to mind rather angular sounds. In the case of Cosines, not only do they have a math-rock influence, they also seem genuinely interested in mathematics – along with the likes of Stereolab, krautrock and much of the c81/c86 movements. Not only that but the matter of fact Yorkshire stylings of frontwoman Alice Hubley’s lyrics tell of love, life and relationships and it’s like she equals those other famous Yorkshire folk David Gedge and Alex Turner in terms of their Yorkshire outlook and lyrical concerns. Right from the opening track ‘Out of the Fire’ it’s clear this is a very special album. The album’s outstanding track is the closer, the torch song ‘Our Ghosts.’ I would say it was worth the price of admission alone, were it not for the fact that there’s so many brilliant tracks on the album. It rounds off an album so excellent that I had to play it again from start to finish. And that genuine interest in mathematics? Well, not only the band’s name, and the album’s name, but also the album’s artwork: The Oscillations‘ sleeve features the Legendre Polynomials, a sequence of solutions to an equation created by 17th century French mathematician Adrien-Marie Legendre. He is one of 72 names inscribed on the Eiffel Tower. If you were expecting another stormer in the vein of ‘Zero’ or ‘Date With The Night’ or another ‘Maps…’ well the first track from the forthcoming Crush Songs isn’t like that. But it’s a gorgeous, heartfelt lo-fi song. And that’s not lo-fi as in can’t be arsed, that’s lo-fi as in upfront and honest. The video, which can be seen above, was made by her husband Barnaby Clay and it’s intimate, and beautiful. Whether it’s indicative of what the whole of Crush Songs sounds like, it’s too early to tell. And surprisingly, the songs on the album date back to 2006-7. Why she’s waited the best part of a decade to release them, she’ll probably reveal in time. Not only that but he’s done some solo stuff. His latest album, which you can stream and download above via bandcamp, is entitled FECKIN WEIRDO: Nnamdi’s spectral adventures through a pubulous conundrum, canceling out the burrowing burden and ambiguity of his pre?-?zuberant tooth shine. Which is a mouthful, but it’s more imaginative than self-titled, isn’t it? Take the time to listen, one of the more exciting an unusual submissions I’ve recieved here at 17 Seconds in a while. Back in 2010, The Drums’ released their debut self-titled album (read my review here). They got a lot of coverage, much of it positive, but when their second album Portamento wasn’t as good, they seemed to slip off the radar. Are the Vaselines indie-pop’s answer to Vashtyi Bunyan? Like the cult folk singer, they’re about to release their third album in a career that’s been hugely influential but with long, long gaps. Entitled V For Vaselines, the album comes out on September 29 and the first track to do the rounds ‘One Lost Year’ can be streamed and downloaded above. The artwork seems to be Prefab Sprout means Marlon Brando meets Steve McQueen (you’re going to have to google all that if you don’t get the references). 30 September Brudenell Social Club, Leeds. 1 October Hoxton Bar & Kitchen, London. Two new tracks from the New Pornographers’ new record! New Pornographers will release their new album on August 25. It’s entitled Brill Bruisers and is the first album in four years by the North American indie supergroup. So far two tracks have been made available as videos, which you can stream. At the top of the page (And probably playing already) is the title track (if two tracks appear to be playing, maybe it’s the Morrissey one down the page). Edinburgh’s We Were Promised Jetpacks are back with their third album, a new member and a forthcoming tour. The album is called Unravelling and will be released this autumn, though no release date has been given. It was recorded in Glasgow at the (in)famous Chem19 Studios with Paul Savage who has previously worked with a number of 17 Seconds faves, including established and diverse Scottish acts such as Teenage Fanclub, King Creosote, Bwani Junction, The Twilight Sad, Franz Ferdinand and Mogwai. the first track to do the rounds, ‘Safety In Numbers’ can be streamed at the top of the page. The band – Adam Thompson (Vocals / Guitar), Darren Lackie (Drums), Sean Smith (bass) and Michael Palmer (Guitar) are now joined by multi-instrumentalist Stuart McGachan. There are many who might describe themselves as ‘singer-songwriter-guitarists’ but in Richard Thompson’s case, it’s true: he excel at all of them. And while many of his generation may find their voices starting to fade, his remains as strong as ever. 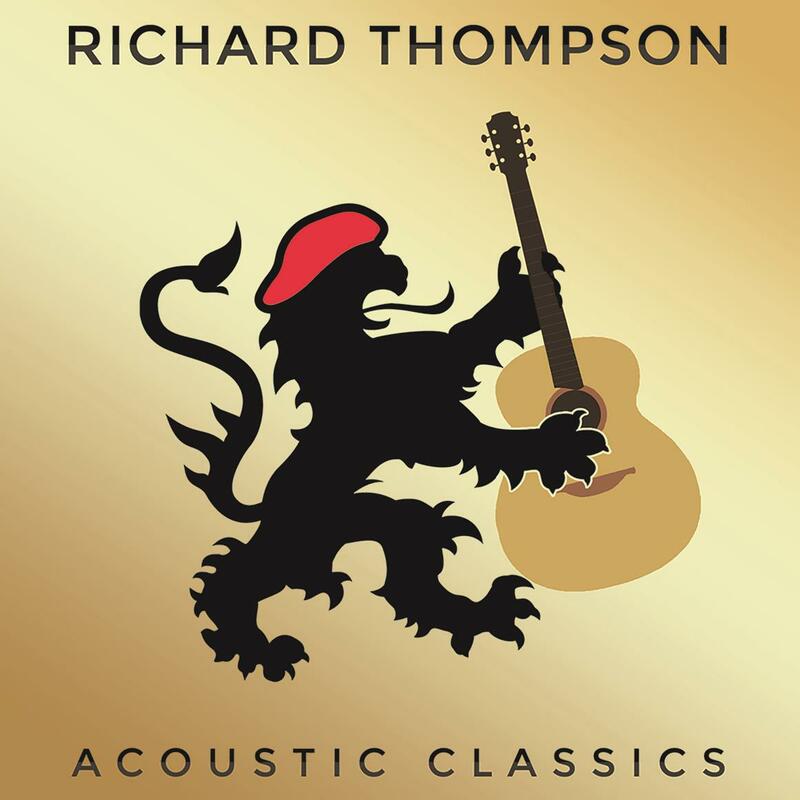 And while this concept – studio-recorded versions of fourteen songs from his (outstanding) back catalogue might be money for old rope in the hands of many, in Mr. Thompson’s case, it shows that not only is he incredibly gifted, but even stripped down to just him and a guitar, they lose nothing. Having seen him live both solo and with a band, I can attest to just how well these songs can work stripped down. It’s not a greatest hits album, but if you’ve never heard his music (for shame! for shame! ), then this is a good place to start. If you know his music, this works very well as an album in its own right. I have to confess that I’m rather surprised that apparently I haven’t featured Manchester’s The Travelling Band on 17 Seconds in the eight years the blog’s been running. However, let me put that right immediately by telling you that their third album The Big Defreeze will be out on August 25th on Sideways Saloon/Republic of Music. This is the first track to do the rounds from the album, entitled ‘Passing Ships’ and it is a fine introduction to their gorgeous, epic folk. You can stream it and download it from the top of the page. Last year, Australia’s Sleepmakeswaves issued a fantastic debut in the shape of …And So We Destroyed Everything (read my review here), which also made no.13 in my Top 50 albums of the year list. Clearly not people to let the ground grow beneath their feet, they will release their second album Love Of Cartography on September 1 in the UK. And how can you not love a band who write love songs about delay pedals? (if you don’t understand this, you are probably reading the wrong blog).